Our AGM is scheduled for 7 PM, Friday, 13 November, 2015, at the Sunshine Coast Arts Centre. 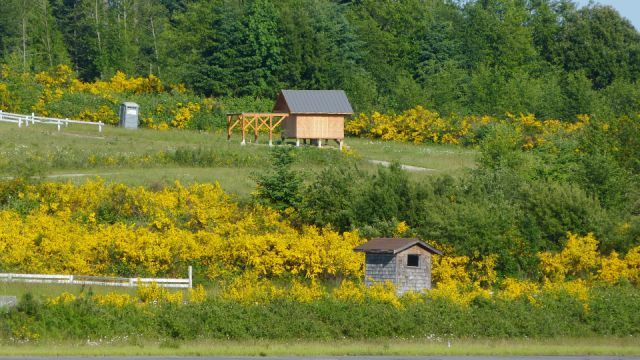 Attilla Danko of Clear Dark Sky just generated a page for our Wilson Creek Observatory at the airfield which you can now find on our Sky Maps and Space Weather Page. 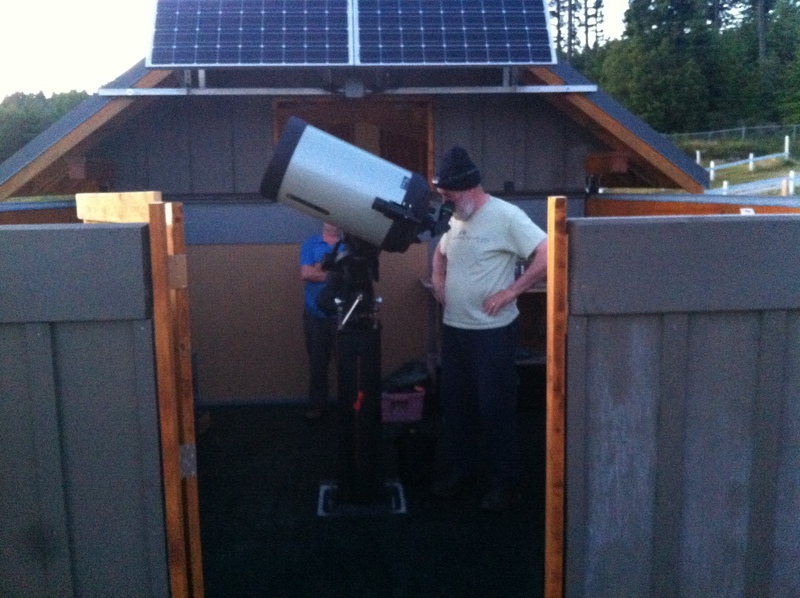 This is the new, improved web site for the Sunshine Coast Centre of the Royal Astronomical Society of Canada. Events and news will appear as blog entries just like this entry I am sending. After discussions with various Centre members who were concerned about various aspects of the current web site since I joined this Centre last August, I entered into discussions with members and board members about updating or replacing our existing web site. I met with the outgoing webmaster, Gary, who showed me how the existing site worked. The old site was created with what was once the state of the art decades ago, involving writing HTML code. 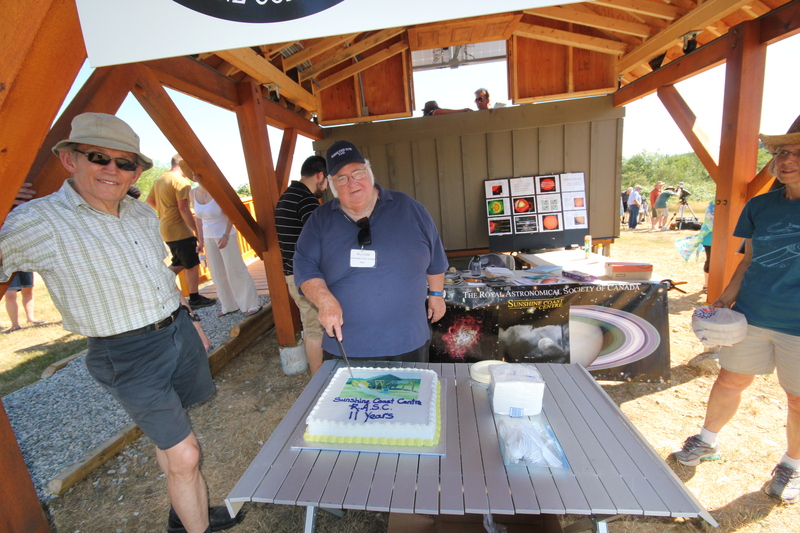 Gary has the old site on his server along with several other sites he runs (such as Luxembourg Central), and holds the domain (www.coastastronomy.ca) on a US domain registry. The existing domain is due for renewal in November. At the yearly domain registration fee is a ridiculously cheap $11/year. Gary is not charging us for the server. Gary has told me he’s willing to sign the ownership of the domain over to our RASC Centre so that the Centre can be billed directly for it instead of his having to pay for it and bring us the bill for reimbursement. Some people have expressed concerns about changes to the web site. This is normal, and I understand some people’s anxiety about change. Winston Churchill once said: To improve is to change; to be perfect is to change often. It becomes immediately clear when you speak to different members from different generations that everyone has their favourite internet method of accessing information on club activity. I’m not trying to convince anyone here that one particular system, be it a chat room, web site, blog, internet social networking site, or whatever, is the best way. Each method has its advantages and disadvantages and followers. What I’m trying to do here by updating things, expanding things, and interconnecting things is to vastly increase our reach to new people in the community and make the information on what our RASC Centre is doing more accessible to all devices, be they computers, notepads, androids, phones, etc. We can use new members, we can use younger members, we definitely can use visitors who put cash in the donation jar. These improvements and changes will help that happen. The first advantage of the new web site that I have created is that it is absolutely free. If we eventually point the new site at our original domain, then the only fee would be the yearly domain registration fee. The WordPress server where the new site is now parked is free. The second advantage to the new web site is that it takes advantage of the advances in technology since the first site was originally created. We can do much better than the existing web site now. The new site is based on WordPress software, which makes it easier to use and modify. A new user hoping to use the existing site has to learn HTML codes and download FTP software and fiddle with formats in order to make the old site work. For the new web site you simply sign in, go to the dashboard where all the details are displayed, and get down to work. New posts are a matter of clicking and typing and adding widgets or media such as photos or files is simply drag and drop. If you have a question you simply click on “Help”. This is all much more user friendly. When I eventually hand this new site over to a new person, it will be as simple as giving them the username and password. I don’t mean to sound critical, but the old site was a bit of a mess organizationally. This was partly a function of the hard work involved in formatting it using the old fashioned HTML/FTP system, which limited the user. For example: There was a photo gallery page on the old site, but a lot of the albums were actually listed on the past events page, mixed in with links to PDFs of old presentations. The albums themselves were a mixture of styles. All of the information and photos from the old site has been exported to our new web site. All of the photos from the old site were downloaded into files on my computer and then exported to albums on our Centre’s Facebook page (https://www.facebook.com/pages/Sunshine-Coast-Astronomy-Club/215347841270). All the photo albums now appear on one Photo Albums page on the new web site and can be accessed with a click: This takes you to the Facebook albums, which are all in one style. All past presentations have their own Past Presentations page on the new web site with links to PDFs you can download. Eventually you’ll also have links on the new Past Presentations page to videos of past lectures. On the new web site each piece of news and every event notification is a blog post, which the reader can instantly comment on, or easily post to other social network sites: You don’t need to search out an e mail link elsewhere on the new web site to make a comment: you simply type into the comments box attached to each post and hit “send”. On the old web site notices of events consisted simply of a line of coloured text which had to be laboriously written and often disappeared to make room for newer notices: Now these posts are descriptive paragraphs with titles and photos attached. People who are fans of our site can link themselves to the new web site and follow these posts, getting automatic notices of all the posts that we place on the site. All of the comments on our posts come back to the webmaster so that the webmaster can respond to questions and feedback. Every time someone comments on a post, the webmaster gets an e mail to let him/her know. The posts are all categorized and tagged, which makes them more accessible to search engines like Google. A Category Cloud and Tag Cloud in the right sidebar shows the visitor at a glance what the most active blog post topic categories and tags are, and clicking on any of the entries in the cloud will bring up a listing of every posting in that category. Live feeds in the left sidebar connect our new web site with our Facebook and Twitter pages. Any time anyone posts to our Facebook or Twitter pages the new post also appears on the new web site. Later our new site will include live feeds to other member sites. 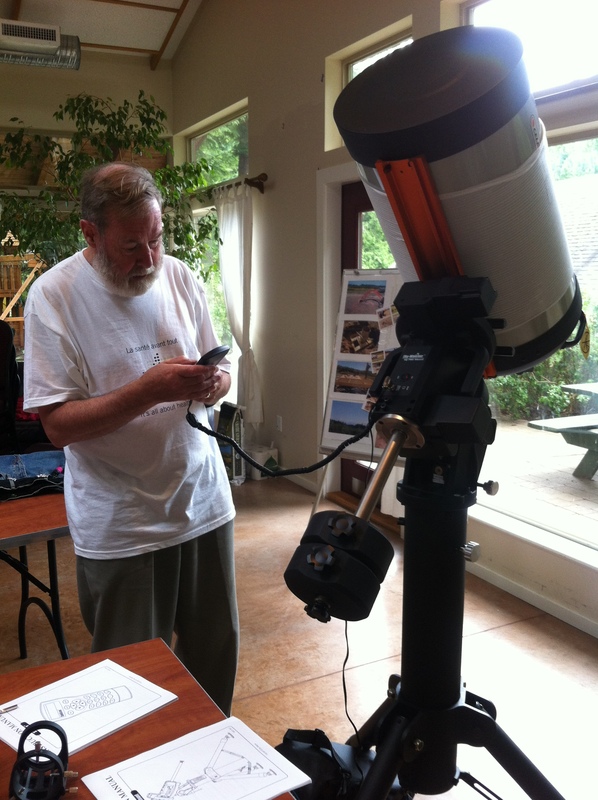 For example our president Mike is creating an astronomy blog and his posts can also automatically appear on the new site. Unlike the old site, our new site automatically keeps track of how many people are visiting and exactly what they are looking at. The webmaster has instant statistics on daily/weekly/monthly/yearly visits which show what people like and don’t, which allows us to fine tune the site to viewers. Please take a close look at this new site. I am looking for comments and suggestions to make it even better, so kindly type in your feedback in the comments box below and send it to me. We’re going to keep the old site up and running for many months in parallel with the new site, with a link on the old site directing people to the new one. Eventually the old site will be phased out.